There have been many Medicare fraud prosecutions involving ambulance services in recent years. Common schemes include falsely billing basic life support runs as advanced life support and taking otherwise ambulatory and healthy dialysis patients to and from their appointments. In just one city, Philadelphia, no less than 30 individuals affiliated with eight ambulance services have been charged with Medicare fraud during the last five years. A recent settlement suggests that the Justice Department and Centers for Medicare and Medicaid Services may now be targeting hospitals in some of these schemes. Two weeks ago, the government settled a case against Century Ambulance, a company providing EMS in the Jacksonville area. Although a former EMT-turned-whistleblower filed a False Claims Act case against Century, prosecutors brought in nine additional defendants, all hospitals. Century was accused of taking patients to and from the hospitals by ambulance, even though they were ambulatory and could otherwise drive themselves or take a taxi. Medicare rules require non-emergency hospital transports to have a certificate of medically necessity documenting the patient can’t drive or take traditional transportation. The whistleblower, Shawn Pelletier, claimed that Century was often forging the certificates. Although Century was the only company that received Medicare reimbursement for these transports, the Justice Department decided that the hospitals also bore some responsibility. Many hospitals use ambulances as glorified taxi services because of their rush to free up bed space. 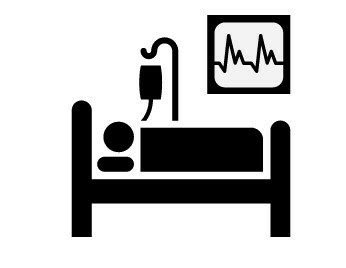 If a patient doesn’t have a ride, some hospitals will call an ambulance simply to turnover the bed. Sometimes hospitals aid the Medicare fraud scheme by falsely certifying medical necessity. For their part the hospitals say they did no wrong. We think those arguments are pretty hollow. This is especially true since they agreed to pay $7.5 million. Medicare fraud involving ambulances is a big problem nationally. Medicare believes that unnecessary hospital transports cost taxpayers $250 million last year. We anticipate a new wave of whistleblower complaints against both hospitals and ambulance services. Including hospitals in these new prosecutions assures that there will be a “deep pocket” ready to repay taxpayers. The federal False Claims Act can pay whistleblowers up to 30% of whatever the government collects from wrongdoers. Fortunately, the law carries additional damages that allow the government to triple loss figures and add up to $11,000 for each false claim or bill submitted to Medicare. With new deep pockets – hospitals – the settlement value of many of these claims should increase dramatically. One word to the wise. There are very specific steps necessary to collect an award in Medicare fraud cases. These include filing a sealed complaint in federal court. Calling a toll free hotline doesn’t get you an award, however.